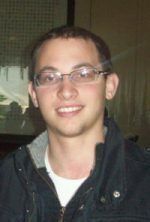 Alan G. Futerman is student of BA on Economics at the University of the Latin American Educational Center (UCEL), research fellow at Fundación Bases, editor at www.catalactica.com.ar, Rosario, Argentina. Abstract: This work studies Public Debt from the point of view of the deception it implies for the citizens. Just like what the theories of Richard Musgrave show with regard to taxes (“Multiple Theory of the Public Household”), the issuing of Public Debt hides how the citizens are forced to pay it in different instances and how it becomes into another Tax. Public Debt always implies economic waste and ultimately poverty. Despite the intensions of politicians (blinded by “Fiscal Illusion”) to change the definition of concepts such as inflation, markets and government through political discourse in order to resort to debt without trace, the only thing true is that Public Debt is nothing more than an immorality that promotes ruin among the citizens and perpetual recession for the economy. Recension: The second entry selected and published this year challenges common held views on the effects of public debt. Built on theories by Bastiat, Mises, Musgrave and others, it argues that public debt damages the economy in many more ways than usually assumed. Alan G. Futerman, research fellow at Fundación Bases, studies economics at the University of the Latin American Educational Center (UCEL). A refreshing and very stimulating essay on the effects of public debt.